When a woman gets pregnant, chances are she has a number of questions regarding her health from the moment she finds out she has conceived. When a woman is pregnant it is important that she is taking care of her body to the best of her ability to create the best possible environment for her baby. With this in mind, some women may wonder if their chiropractor should be adjusting them while they are pregnant. Chiropractic care is very common for expecting mothers as it can help women address their biomechanical complaints, such as back pain. What many women do not realize is that as the body changes during pregnancy, it can cause a number of changes in the back and in the spine. A protruding abdomen can increase the natural curve in the back causing pain and discomfort. Many women also change their posture to accommodate the change in body mass. The pelvic also changes during this time, mostly as the body prepares to give birth. However, if the pelvis is misaligned, it can reduce the amount of room available for the developing baby and cause an issue known as intrauterine constraint. Issues with the pelvis can also make it difficult for the baby to get in the best possible position to be delivered. 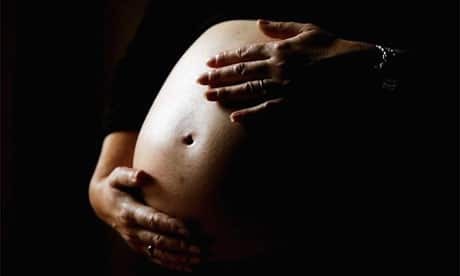 Ultimately, one of the biggest ways that chiropractic adjustments can help pregnant women is that they work to relieve subluxations on the spine. When these subluxations occur, they put pressure of the nervous system and prevent it from sending messages properly. When a woman is pregnant her body is going through all types of changes, which is why pregnancy comes with so many different side effects. Getting adjustments to relieve these subluxations can help the nervous system work as it should, keeping proper communication flowing between the body and the brain. The healthier the nervous system is, the healthier a woman’s body and her baby will be during this important developmental time. Many have found that chiropractic care can help turn breached babies as well. The technique used is known as the Webster Technique and many studies have found that chiropractors are able to turn breached babies using this technique more than 82 percent of the time. Routine care from a chiropractor during pregnancy and leading up until childbirth can also help mothers have a more natural birth as chiropractic care keeps the spine aligned and the entire nervous system and therefore the entire body working as it should be. All chiropractors are specially trained to work with pregnant mothers. There are also some chiropractors that get additional training in order to become specialists in prenatal chiropractic care. Ultimately, the best chiropractor for the job is one that you feel comfortable with and one that you feel will take the best care of your body and your baby. Of course, once a woman has given birth, it is important that she continues to see her chiropractor for routine care. Regular adjustments can help mothers recover after the childbirth process and put their body in an ideal position to start healing. Chiropractic care should be a lifetime addition to your overall wellness routine, however, it is particularly important that expecting mothers take the time to see a chiropractor during the entire course of their pregnancy.